KPA Master Development Kit (MDK) enables developers to configure Master functionality. Notes: Some OSes like Windows XP, CE6/7, OnTime RTOS-32, PikeOS, RTAI are ported, but not actively supported any other OS can be supported on request. EtherCAT master stack has a modular structure to respond to a challenge of each particular implementation. It makes the master scalable to fit the size of application, portable to different operating systems, adaptable to various hardware platforms and allows developing or customizing each module separately while keeping the functionality of the others intact. ensures access to master’s functions from the side of applications or process tasks. 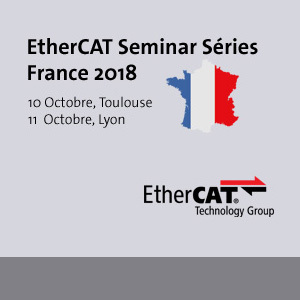 Process Image addresses are provided by EtherCAT network information (ENI) file, generated by a configuration tool. Access to the process image from control/process tasks is carried out through the master interface. In the configuration tool the user defines scan rates for each slave individually. Frame Scheduler module manages velocity of EtherCAT frames by forwarding them to EtherCAT network driver. Master Stack OSAL allows making the master portable to any operating system with less effort. OS functions module contains wrappers for OS-dependent functions that deal with threads, timers, mutexes, etc. Network adapter driver module that abstracts the master stack core from the underlying network implementation. Notes: Some OSes like Windows XP, CE6/7, OnTime RTOS-32, PikeOS, RTAI are ported, but not actively supported. any other OS can be supported on request. Each package contains a specific set of functions and features divided into classes, so you can select a master of the class that fits your application to perfection. The comparison matrix below (PDF-File) shows the differences between Basic (Class B) and Standard (Class A) options.